Funky Monkey Toys store owner Tom Jones plays with a fidget spinner in Oxford, Michigan. 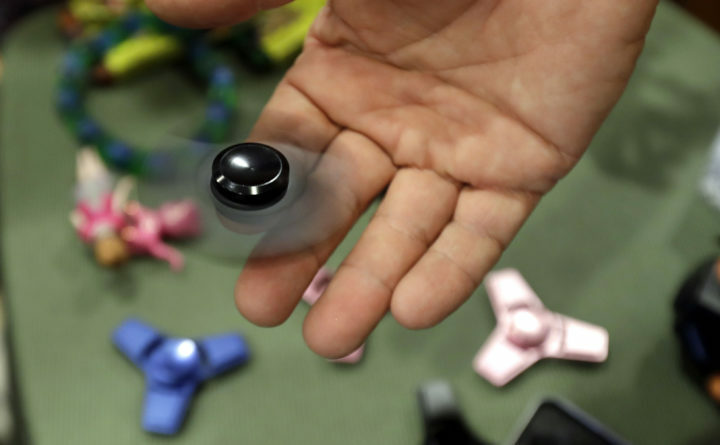 Fidget spinners were among the most searched topics on Google in 2017. Here are some of the terms Google says had the highest sustained spike in traffic compared to 2016, filtered for spam, repeat queries and adult keywords.